NEW Shows All Day on The AIR! 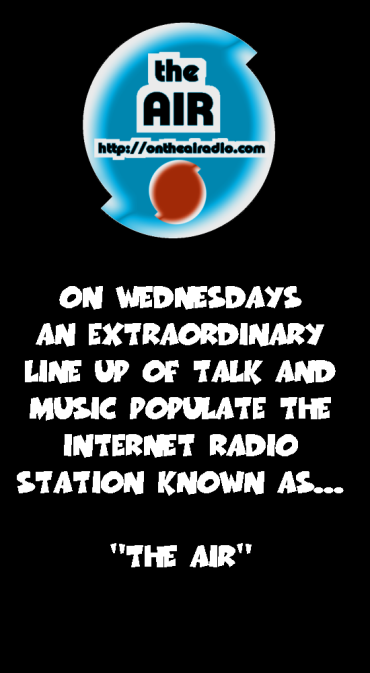 Every Wednesday we will bring you some of the most entertaining and informative talk radio that you’ll find anywhere on the planet. Our mornings and afternoons will still be filled with music, but the mid-day period and evenings feature a line up of stimulating and enlightening talk, plus a healthy dose of goofy fun stuff, too. Check out today’s line-up below the jump. 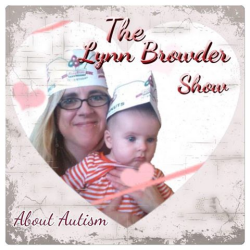 At Noon, it’s The Lynn Browder Show about Autism. In 2015 Lynn Browder began producing a show for Voices of Appalachia chronicling her son’s diagnosis with autism and the adjustments that she’s made in her life. In a few weeks Lynn will resume production of her program, bringing us up to date with Owen’s progress and sharing their personal journey. Today we bring you the third and fourth episodes of Lynn’s Autisum Discussion show. Lynn’s show will replay on Friday morning and Sunday afternoon. 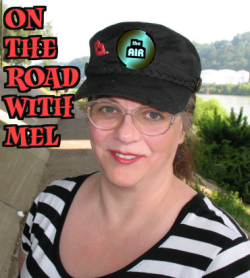 At 1 PM, On The Road with Mel returns with the first episode of her second season. This all-new is part one of a series about what to do “When Good Trips Go Bad.” This week you’ll learn how to replace a lost or stolen passport while you’re overseas, and Mel examines the ins and outs of Travel Insurance. The show opens with some wise ideas for how to prepare for the worst when you’re getting ready to embark on a trip. On The Road with Mel show will replay Friday morning and Sunday at 1 PM. 1:30 PM sees the second edition of our infotainment spectacular, produced in conjunction with PopCult. STUFF TO DO is exactly what the title says, it’s a weekly half-hour that tells you about stuff you can do in and around Charleston over the coming weekend. Your hosts, Rudy Panucci and Mel Larch bring you a fast-paced run-down of what’s happening in town, and we even manage to sneak in samples of some of the musical acts performing around town. This week we cover a surprising amount of Pokemon Go events, as well as music from Live on the Levee, The Boulevard Tavern, The Monkey Barrel, The Blue Parrot, Kin Ship Goods and The Empty Glass, theater in Huntington and Saint Albans and mre cool stuff and benefit shows from Beckley to Ripley. We also sample music by Hybrid Soul Project, Miniature Giant and J Marinelli. 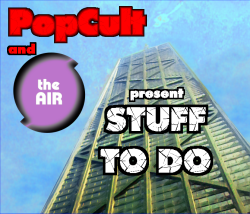 STUFF TO DO will be run several times between Wednesday and Friday on The AIR, and will also be posted Thursday morning here in PopCult. At 2 PM Normally The AIR brings you The Best of The Real with Mark Wolfe in this timeslot, but this week we’re going to replay The RFC Interview with Mark. A couple of weeks ago, your PopCulteer conducted a one-hour interview with Mark Wolfe that put the spotlight on Mark’s musical career and his recent trip to Wales to record with an international all-star band. A new episode of The Real with Mark Wolfe airs tonight at 9 PM. At 3 PM each weekday The AIR brings you a two-hour work-friendly music block to help you finish your day of wage-earning. On Wednesdays we have two programs filling that bill. First, at 3 PM it’s Curtain Call. Mel Larch (hosting her third show of the day) brings you an hour of the best of musical theater.In this week’s new episode, Mel brings you songs from shows that teach you valuable life lessons. You’ll hear music from Matilda, Young Frankenstein, School of Rock, Oliver, Company and many more. 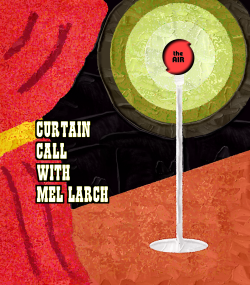 Curtain Call will replay Thursdays at 7 AM and several times throughout the rest of the week. At 4 PM it’s my not-so-guilty pleasure, The Swing Shift. You may recall earlier this year that I brought you two episodes of Radio Free Charleston International dedicated to Swing Music. Those were so well-received, and I had so much fun doing them, that I decided to go ahead with a weekly one-hour show that mixes together the best swing music from the last century into a concise, swinging, blast of jumpin’ music. This week you’ll hear music from Royal Crown Revue, Cab Calloway, Louis Prima, Big Bad Voodoo Daddy,Stan Kenton, and more. 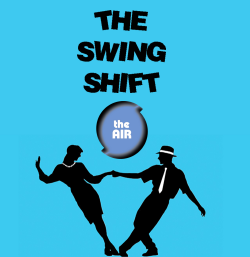 The Swing Shift will premiere a new show every Wednesday at 4 PM, with replays Thursday at 8 AM and throughout the following week. 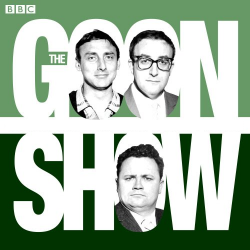 At 6 PM, right before a replay of STUFF TO DO, you can hear The Goon Show. This classic 1950s BBC Radio program inspired Monty Python, Beyond The Fringe, The Muppets and The Beatles. Harry Secombe, Spike Milligan and Peter Sellars delivered their influential half-hour of insanity to British listeners each week and generations of insane UK comedy followed. This week our new-to-The-AIR episode is a rare gem from 1953. At 7 PM we’re running The Best of Word Association with Lee & Rudy. This week we bring you Lee and Rudy’s epic two-part special on Saturday Morning Cartoons. 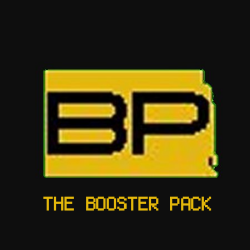 At 8 PM The Booster Pack continues in its new timeslot. New episodes will return soon. Replays can be heard overnights and on Sunday. This week listen the to guys dissect the controversy and buzz surrounding Superman vs. Batman. At 9 PM Tune in for a brand-new episode of The Real with Mark Wolfe. This week Mark and his producer, Steve Adams talk about the recent flooding in West Virginia and bring us up to date on the many exciting changes to their lives that have happened this year. The Real with Mark Wolfe replays Sunday afternoon at 4 and in some overnight spots throughout the week. 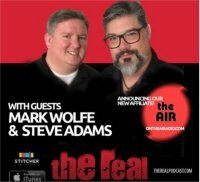 Starting next week, The Best of The Real with Mark Wolfe will air different episodes in its two Wednesday timeslots. 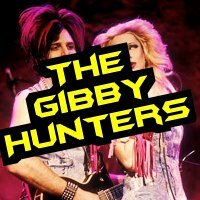 10 PM sees a new edition of The Gibby Hunters. If you don’t know what a Gibby is, or why anyone would hunt one, tune in each week as Brian Bargainier and his crew discuss Gibbys and why they need to be spotted in the wild. This is a great educational and informative program that just happens to sound like a bunch of off-duty comedians talking candidly about all the awful people they encounter on the road. The Gibby Hunters replays several times throughout the following week. 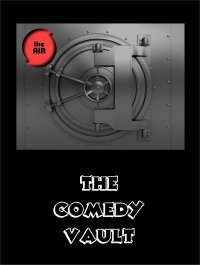 At 11 PM it’s a brand new episode of The Comedy Vault, presenting classic comedy routines from Shelly Berman, The Fireside Theater, Amy Schumer and more. This uncensored weekly compilation show runs the gamut of the last century of recorded comedy.You can hear The Comedy Vault replayed all week long on The AIR. I hope you take the time to tune in and see why The AIR is most happ’nin radio station on the web. These are interesting times. You might as well have cool stuff to listen to.